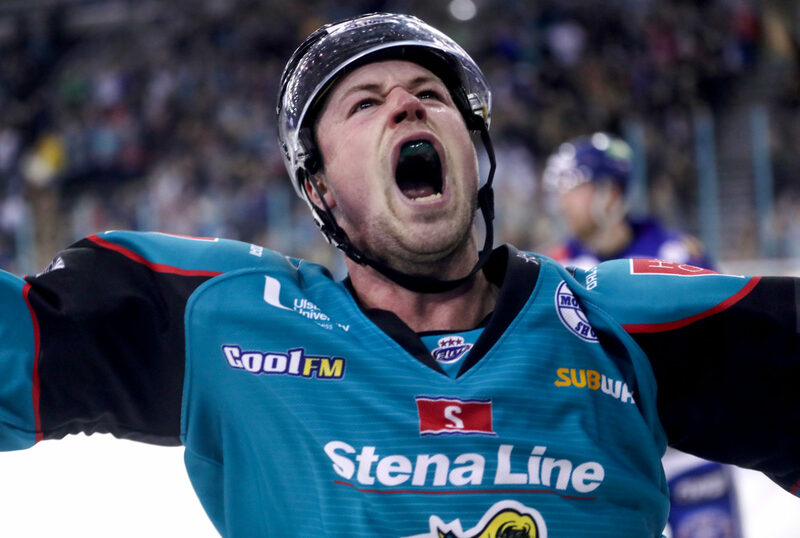 The Belfast Giants were 2 and 0 on the series as the Coventry Blaze made their first trip across the Irish Sea- complete with new import goaltender and former NHLer Matt Hackett. 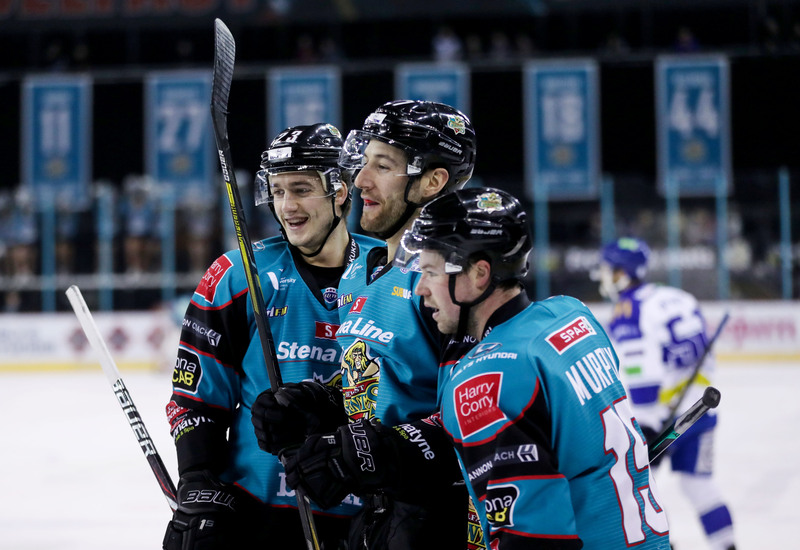 Despite the Giants clean record thus far- the pressure remained firmly on as the men in Teal and Andrew Lord’s Cardiff Devils continued to slog it out at the top of the table- the differential sitting at 5 points as the puck dropped, and Cardiff got underway in Manchester. Things were looking positive in the opening seconds, the Giants coming close on an early effort in the zone. However, just three minutes in Mark Garside appeared to limp to the bench and on down the tunnel; an early worrying sight for the home crowd. The Giants absorbed a period of sustained pressure, before Curtis Leonard sat for slashing at 6.43. Mark Garside took a hooking call at 17.29 which was successfully killed as the period wound to a close. From there, Belfast seemed loose and fragmented defensively- and were made to pay. First, Alex Nikiforuk struck at 32.33 (4-2), and just over a minute later Shawn Pauly danced three static teal shirts around the crease to punch the Blaze to within a goal (4-3). 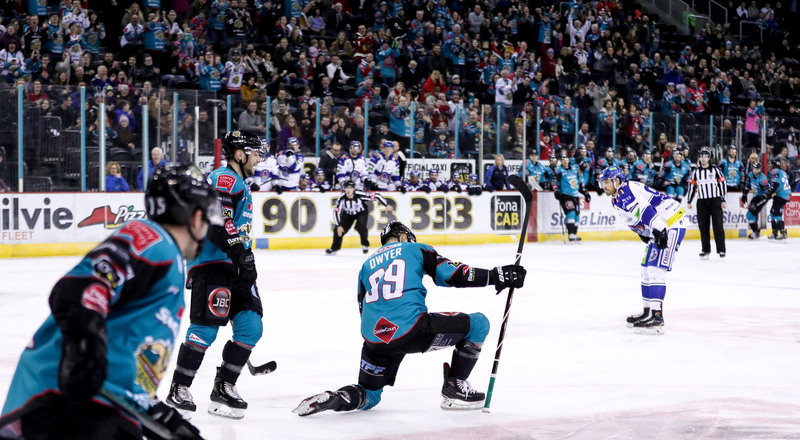 The buzzer was a merciful break for Adam Keefe’s men, who needed to regroup for a big final third. 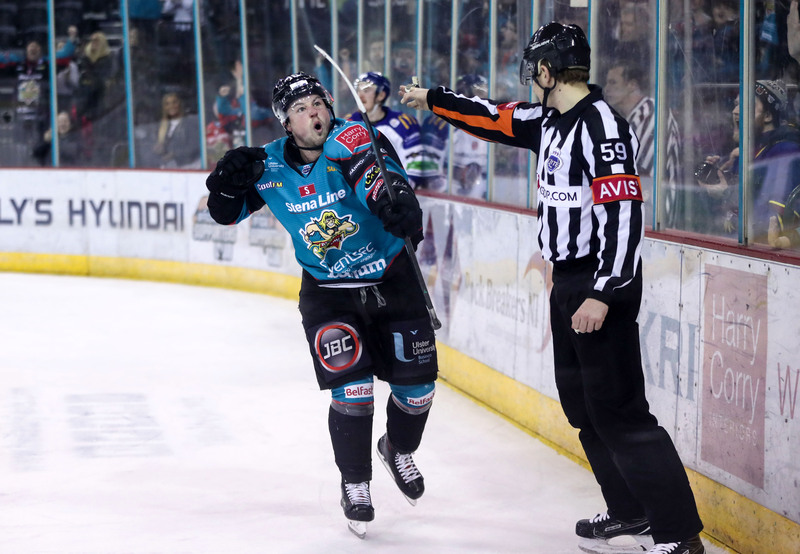 With Belfast presumably having been read the riot act in the period break, the final third started with intensity. Unfortunately, it also got pretty messy. Before long the men in teal found themselves on the wrong end of a 5 on 3 as Vandermeer sat for elbowing, swiftly followed by a Josh Roach slashing call. The Penalty Kill unit endured, pulling it back to 5 on 4 through a 2 minute call on Hasher for tripping- his contact with Patrick Dwyer sending the Giants #39 sprawling to the ice and in need of assistance down the tunnel. The home crowd voiced their displeasure at the lack of anything more severe from referees Dalton and Copeland, but regardless play continued. After the clocks cleared the Giants once again found themselves on the power play, (Bryhnisveen slashing 44.00), which was killed off before the Blaze took their turn with the man advantage- the 5th penalty of the period. Are you keeping up? Because I’m barely keeping up. Bryhnisveen then took the seventh penalty of a chaotic period, sitting for holding at the game entered its final ten minutes. Blaze goaltender Matt Hackett took 2 minutes for delay of game at 56.02 (served by Crowder) as the penalties just kept rolling in. 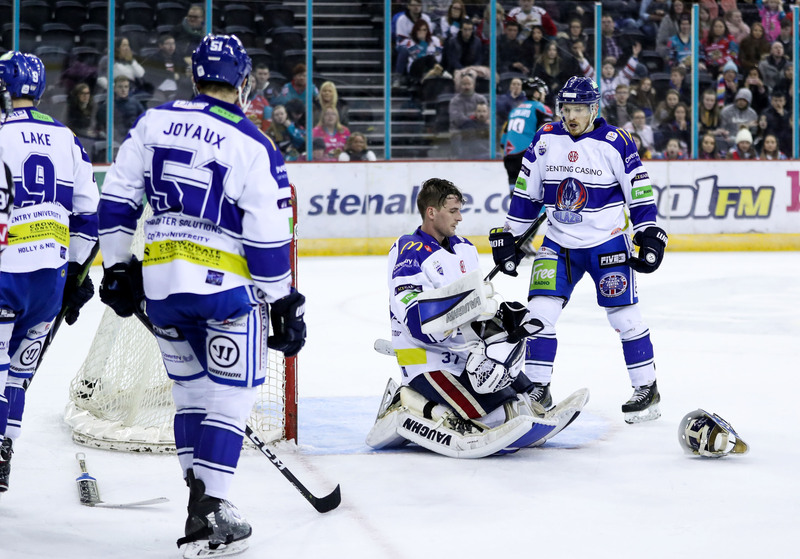 The Blaze pulled Hackett within the last minute, and with 1.8 seconds in the game left… Hackett was then sent down the tunnel with a misconduct penalty. Blaze backup Jordan Hedley suited up to see out the clock and end an absolutely chaotic, wild spectacle. Win pretty, win ugly… just win.